Everybody’s head turned. Complain? About the Grand Canyon? What has this guy been smoking? The ranger and I engaged in a conversation for several minutes where he explained the park service’s approach to the fires and the beetles. I brought up the fact that there have been ways of exterminating the beetles for many years, but I realized he was just the messenger. After decades of a policy that put out fires as quickly as possible, land managers have figured out it is best to let nature run her course. Translation: We’re going to let the wildfires burn the beetles out of existence. I thanked the ranger for his time, but as I looked around I just felt nauseous. A couple who had been there several years before were sitting, listening, on a nearby bench. “We thought we were driving through a toothpick factory” they commented, “We just wanted to cry!” I conversed with them for a while, sharing our feelings for a once spectacular place that has lost its luster. The ‘toothpick factory’ they were alluding to was actually outside the park boundary, in Kaibab National Forest. As I drove in I couldn’t help but feel saddened. Mile after mile of completely scorched forest had an eerie feeling to it, even in the middle of the day. That fire’s damage stopped before the Grand Canyon park boundary, and I remember having a sense of relief, thinking that the national park’s forests were spared. But that was not the case. Separate fires have left their mark, leaving the forest unrecognizable from its former appearance. It’s downright ugly in places. I honestly felt a couple bulldozers would help. If you haven’t been there before, I should explain. 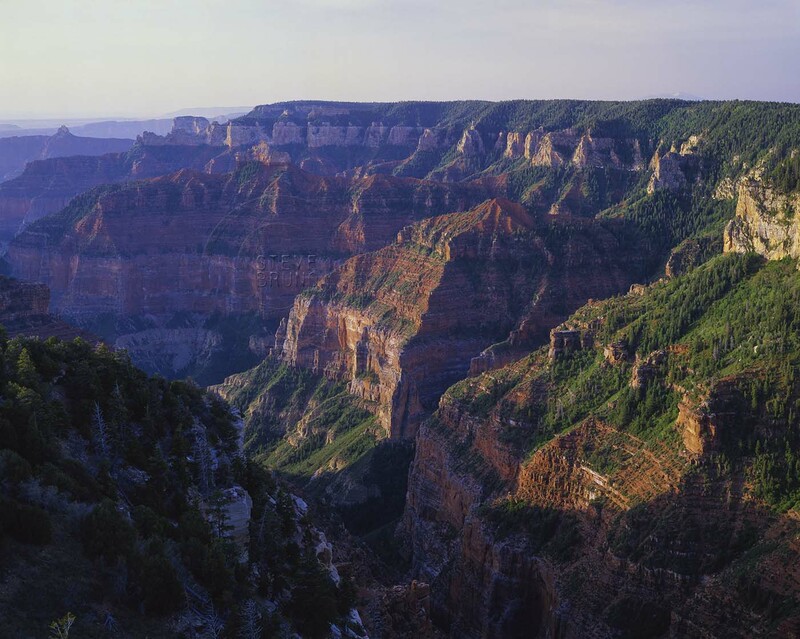 The North Rim of the Grand Canyon used to be a package deal. The journey started at the town (gas station, restaurant, hotel) of Jacob Lake. From there it’s about thirty miles to the national park boundary. Driving across the Kaibab Plateau and its pine and aspen forests, mixed with small lakes and open meadows, you got the feeling that you were entering a special world long before arrival at the park’s gate. On my previous visits, I could swear they had landscapers working at night. I had never seen a forest that immaculate before. It wasn’t just that it was clean, there was something in the way the trees were arranged, as though it had been planned. It seemed to other forests how Augusta National is to other golf courses. Autumn was a magical time here, especially near where the road to Point Imperial left the road to Cape Royal. 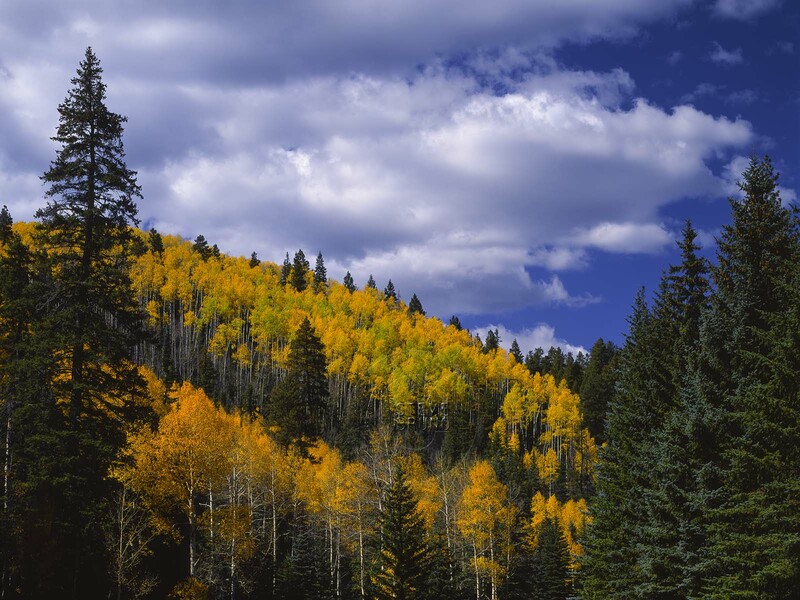 Aspens lit up the forest with their golden hues, sometimes lingering to reach a shade of pumpkin or tomato. Two cars would be crammed into the pullouts designed for one. Occasionally, people might not even pull completely off the road, just getting out of the vehicle to snap a quick pic or two. Nobody honked their horns in a petulant rush. Everybody slowed down to admire this gem of a forest. And the Grand Canyon was still three miles away – yes, THE Grand Canyon! As the road continued to Point Imperial, it offered hints of what lay beyond, finally terminating in a forest of ponderosa pine. These majestic trees towered to the skies, giving a visitor the impression there was a touch of redwood mixed into the DNA here. Between all that shade and the encompassing view, it used to be a great place to have a picnic lunch. The fire line stopped on this point, and now I think there are two tall pines left. To the north, where the small brush is growing back, it looks like an overgrown weed field. The Grand Canyon is still there, relatively the same. I say relatively because evidence of bark beetles is visible as one looks towards the south. Lush green trees protected from all else by sheer cliffs, are starting to brown. A lightning strike is the only chance this pocket of forest has of catching fire and eliminating the beetles. That seems like it would only be trading one shade of brown for another, but at least the forest might have a chance to recover. That is not an option for beetle devastated trees. Several generations of visitors will get to view this slow, lingering death. Fires are a natural and healthy process for the longevity of our forests. Public land management officials have come to the realization that dense undergrowth is the fuel for intense fires, and make efforts to clean out that growth. Drought may be something out of our control, but the bark beetles are not. The Grand Canyon is not the only place subjected to this damage. Forests throughout the western US are being destroyed by the insects, leaving them unhealthy and prone to massive fires. I wonder if Smokey knew about bark beetles? Are WE supposed to be doing something about those?